As part of our role as Playmobil Playologists we are sent seasonal products through the year to review. Easter is always a big favourite of mine as I love the idea of giving Playmobil as an alternative to a chocolate egg and priced at £6.99 these eggs are great value, I love that all the bits fit back inside the egg so they are great for taking out and about as well. Playmobil has 4 eggs to choose from this year as well as a super cute Easter Bunny School set priced at £12.99. There is a choice of Pirate, City Life, Mermaid and Football themed Playmobil Easter Eggs. 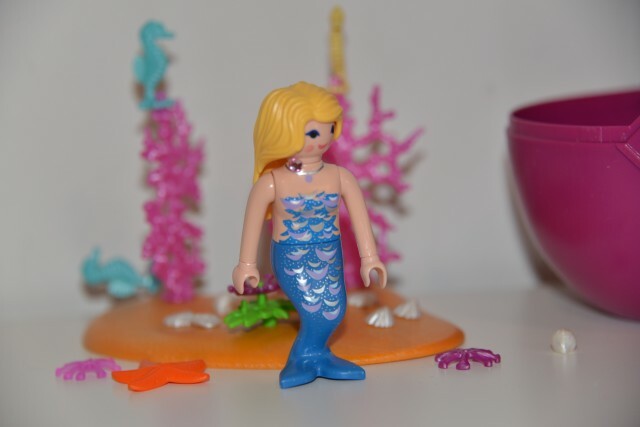 My 5 year old adores her mermaid, which she has been playing with in the bath and we all think the footballer is just fantastic. 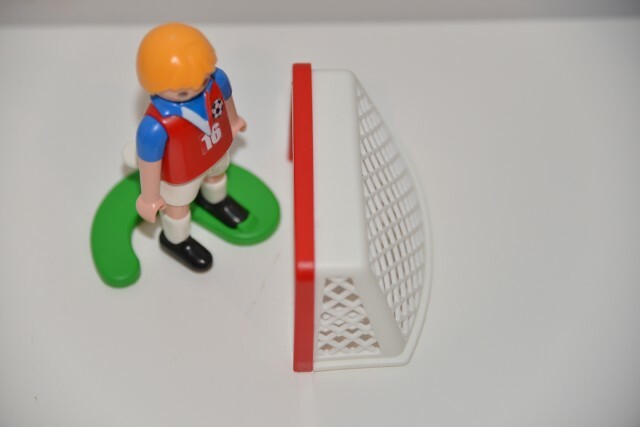 You can flick his leg to kick the football into the goal and it works fantastically well. He has a great kick, we’ve been experimenting with different types of balls so it’s inspired some great learning investigations as well as play. All in all we’re really pleased with the eggs, and I would definitely buy them for friends. what a great idea I love this ..playmobil rocks! I have fallen out of love with Easter Eggs a little bit but LOVE this idea and it is something that is a healthier option and will last much longer than Easter! I saw these at the Toy Fair – they are such a good idea.